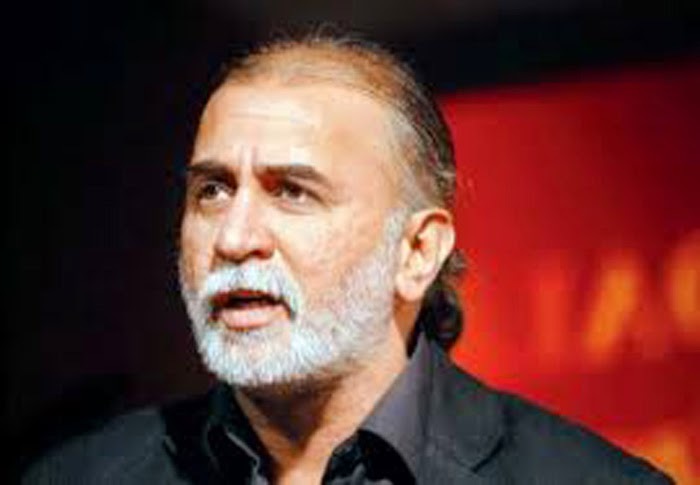 NEW DELHI: A few hours after Tehelka magazine's founder-editor Tarun Tejpal's residence was raided in Delhi, his lawyers moved the district sessions court in Panaji for anticipatory bail on Friday morning. The sessions court has given interim protection from arrest till 2.30pm on personal bond of Rs 20,000. Court will give its order on Tejpal's interim bail application at 2.30pm. Tejpal had withdrawn on Thursday the anticipatory bail which he had filed in Delhi high court. Raunaq Rao, counsel for Tejpal, has said that they have moved anticipatory bail before the sessions court in Panaji. "The police want to apprehend Tejpal despite our wish to cooperate in the matter. There is no need to take Tejpal in custody. What is the use of putting him in the cell?" Rao said. Early on Friday morning, Goa Police raided Tehelka magazine's founder-editor Tarun Tejpal's house in New Delhi in a bid to arrest him but returned empty handed after finding that he was not there. Armed with a non-bailable warrant, the team reached the residence of Tejpal, who has been accused of sexually assaulting a woman colleague, in Jungpura area of South Delhi a little after 6am and spent over 90 minutes. One of the officials later said they did not find Tejpal in the house. Crime branch personnel from Delhi Police also accompanied the Goa Police team. Tejpal's wife Geetan Batra refused to divulge to the police any detail of his whereabouts, police said. The police action came after they rejected Tejpal's request for time till Saturday to to appear before them for the investigation into his involvement in the case of sexual assault that had allegedly taken place at a hotel in Goa earlier this month. After the rejection of his request, Tejpal's lawyer said he would appear before the police on Friday in Panaji and extend "complete and full cooperation" in the investigation. Goa police, however, on Thursday moved a court and secured a non-bailable warrant against 50-year-old Tejpal. On Wednesday, Goa Police had directed Tejpal to appear before it by 3pm. The direction had come after the victim, who has alleged that she was sexually assaulted by him in a lift in a five-star hotel in Goa, recorded her statement under Section 164 of CrPC before a magistrate in Panaji. The controversy also saw resignation of Shoma Chaudhury as managing editor of Tehelka, who is being accused of attempting to cover up the matter. Chaudhury sent her resignation on Thursday as there was speculation that she may also be named in the FIR for certain alleged acts of commission and omission after the scandal became public. 0 Response to "Tehelka Case: Goa Court stops police from arresting Tejpal till 2.30pm"